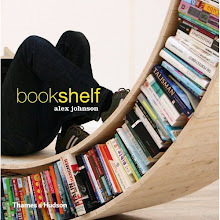 Everyone has the right to build and cherish a private library. 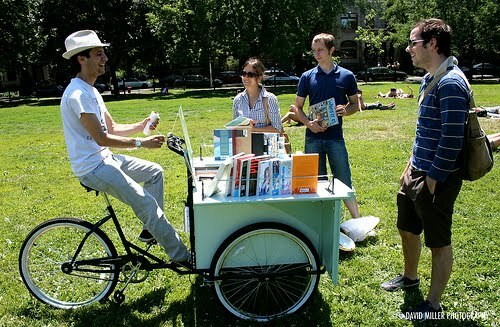 With this in mind, we present The Book Bike: a custom-built tricycle stocked with 200 lbs of free books. Since July of 2008, The Book Bike has been responsible for placing over 3,000 new and used books into peoples’ hands. In spring and summer, you’ll find The Book Bike at Chicago public parks on the weekends; anyone who wants a book is invited to take something home to read. In the summer of 2010, The Book Bike puts a spotlight on independent publishers: from hand-crafted zines to literary magazines and books, The Book Bike is a unique resource of the global independent literary scene. With your help, all books on The Book Bike will be purchased from independent bookstores and indie press. Not only will the books continue to be given away from The Book Bike for anyone and everyone to enjoy, but every book and will have been paid for, thus directly supporting independent booksellers while keeping with the mission of free books for all.